On Wednesday, China accused the former chief to GlaxoSmithKline in China of ordering his staff to commit bribery that resulted in revenue in the billions of yuan. Officials from the Ministry of Public Security in China at a briefing with the press alleged that Mark Reilly a UK national and former executive ordered his team of salespeople as well as other staff members to bribe organizations in healthcare, doctors and other parties to increase the sale of drugs for the company in China. An official with the ministry, Gao Feng, headed the government’s probe of the pharmaceutical giant based in Britain. Feng said that revenue that came from the alleged bribes reached the billions of yuan since Reilly started with the China unit of Glaxo in 2009. Glaxo increased its prices of drugs across China and in certain instance as much as seven fold compared to in other countries, to fund its bribery, alleged Feng. The government ministry alleges that in years prior, Glaxo formed a team to disrupt investigations by law-enforcement into whether the company was engaging in bribery. Feng stated that the bribery acts carried out by Glaxo penetrated all aspects of the business operation of Glaxo in China. In a prepared statement, Glaxo said that it met with the MPS in China, which was updating the company on the current investigation into the company’s Chinese unit. 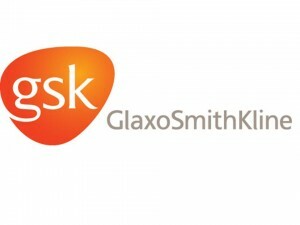 Glaxo said the company takes allegations of bribery seriously and they are very concerning to the company. Previously Glaxo has said some of employees might have broken laws in China and it was helping authorities with the investigation. Reilly was not available for comment and Glaxo said he was back in China assisting with the government’s investigation after leaving this past summer. An official with the ministry said that Reilly was in the country. A spokesperson in Shanghai with the British Consulate there, where the headquarters of Glaxo’s China unit is located, said consular assistance for Reilly was being provided. Feng praised the drug maker from the UK said the company kept a responsible attitude while the investigation progressed and provided assistance during the investigation.